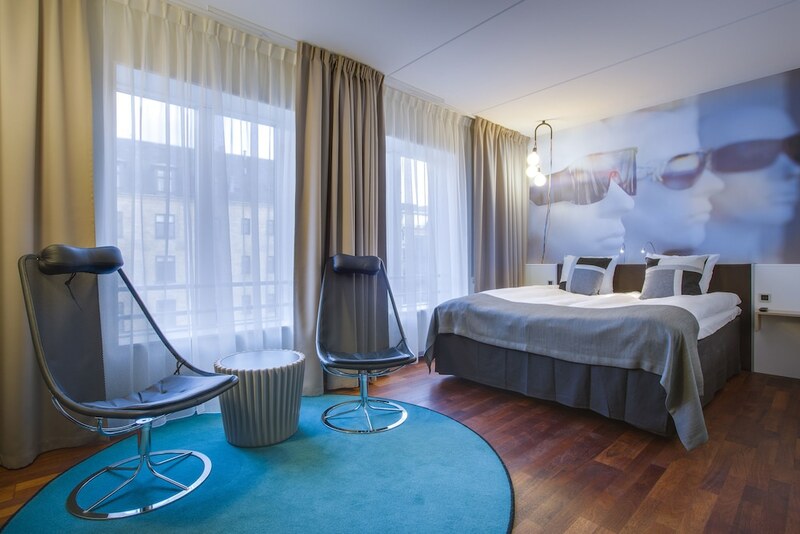 A stay at Comfort Hotel Vesterbro places you in the heart of Copenhagen, within a 10-minute walk of Tivoli Gardens and City Hall Square. This hotel is 0.7 mi (1.1 km) from Stroeget and 0.7 mi (1.2 km) from National Museum of Denmark. Make yourself at home in one of the 400 air-conditioned guestrooms. Complimentary wireless Internet access keeps you connected, and cable programming is available for your entertainment. Bathrooms have bathtubs or showers and hair dryers. Conveniences include safes and desks, and housekeeping is provided on request. Enjoy a meal at the restaurant or snacks in the hotel's coffee shop/café. Quench your thirst with your favorite drink at the bar/lounge. Buffet breakfasts are served on weekdays from 6:30 AM to 11 AM and on weekends from 7 AM to noon for a fee. Featured amenities include dry cleaning/laundry services, a 24-hour front desk, and multilingual staff. Planning an event in Copenhagen? This hotel features 775 square feet (72 square meters) of event facilities. Self parking (subject to charges) is available onsite.